Air conditioning units require the proper amount of refrigerant (Freon) in order to work properly. Freon can escape slowly over time, but in most cases, the culprit is a failed joint or puncture in the pressurized refrigerant lines. Your home’s air conditioning blower pulls warm, moist air across an evaporator coil to cool and dry it. This creates condensation which is collected in a pan located beneath the coil and transported via a drain line connected to a household sewer line. A clogged drain line can keep your air conditioning system from cooling properly. Over time, backed up condensation can lead to unhealthy indoor air quality caused by mold growth, and the formation of rust in the condensate pan and other components. This can result in leaks which can damage your home’s sheetrock and structural elements. Obstructed air flow can keep your air conditioning system from properly cooling your home and, in some cases, can cause the system to shut down altogether. The most common cause of obstructed air flow is a dirty air filter. Most manufacturers recommend that you clean or replace your home’s air filter at regular intervals – typically every three months. A dirty air filter will also lead to higher utility bills, because your unit is having to work longer and harder than necessary to achieve the same level of cooling. Over time, this can shorten the lifespan of your air conditioning system. Most professional AC repair contractors will tell you that faulty and improperly set or placed thermostats are responsible for the majority of the service calls they receive. In order to work properly, your home’s thermostat must be clean, level, and placed at the proper height, in the proper location within your home. Over time, dust can accumulate on the thermostat’s sensor, and prevent it from activating the air conditioning system. An improperly mounted thermostat can also cause problems. Your home’s thermostat should be mounted in a level manner, at a height of five feet above floor level, in a location that is free from drafts and that does not heat or cool faster than the rest of your house to ensure that accurately measures the average temperature throughout your home. Loose or corroded electrical wiring can also prevent your thermostat from working properly. The best way to protect yourself from the headache and financial cost of these common air conditioning problems is by having your system inspected and maintained by a professional heating and air conditioning contractor on an annual basis. 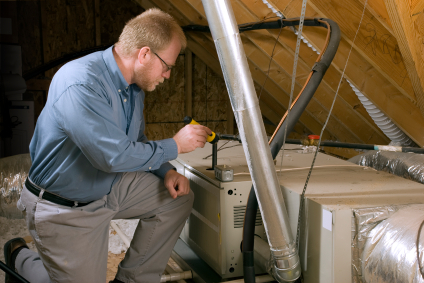 The cost and services included in an annual air conditioning inspection can vary from contractor to contractor, so it’s a good idea to comparison shop, and ask a lot of questions. Keep in mind that so-called “discount” tune up and inspection services are typically not as thorough, and in most cases you get what you pay for. Randy Murphy is the president of Metro Express Service, a family owned and operated heating and air conditioning company based in the Dallas / Fort Worth area.